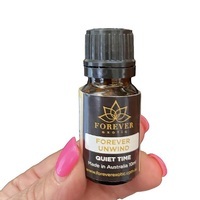 The oils in the Calming Blend helps to assist in creating a calming sensation, allowing you to breath with ease. Lavender, Ylang Ylang, Frankincense & Cedarwood Essential Oils. It is possible that this blend may cause sensitivities; we do not recommend these oils as a replacement for traditional medicine.